Simple and clean, but definitely eye catching... Designed by Hiroshi Nakamura the House SH draws inspiration from a Kangaroo’s pouch and appears to be pregnant on the exterior. The House SH is a project showing Nakamura's brilliant idea of making a small living space bigger by re-designing the wall, and transforming it into something functional and aesthetically pleasing aside from it being just a part of the major structural element. 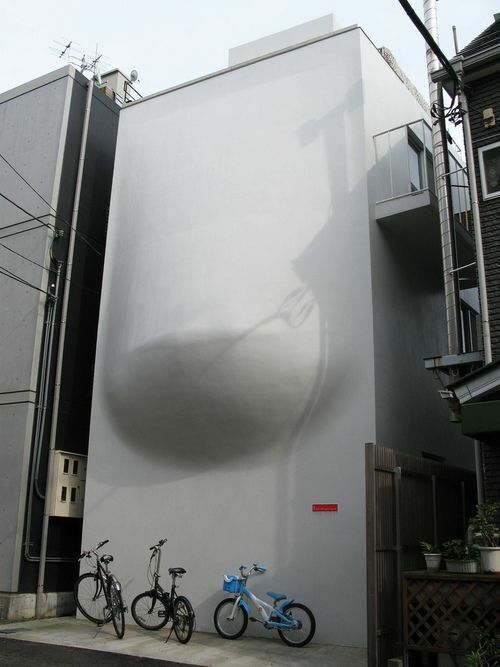 What he did was to design the wall in such a way that it protrudes outward the building, creating a shape that looks like a pouch when you look outside, and creating a hollow shape inside thus making the wall functional and gives the structure a character. 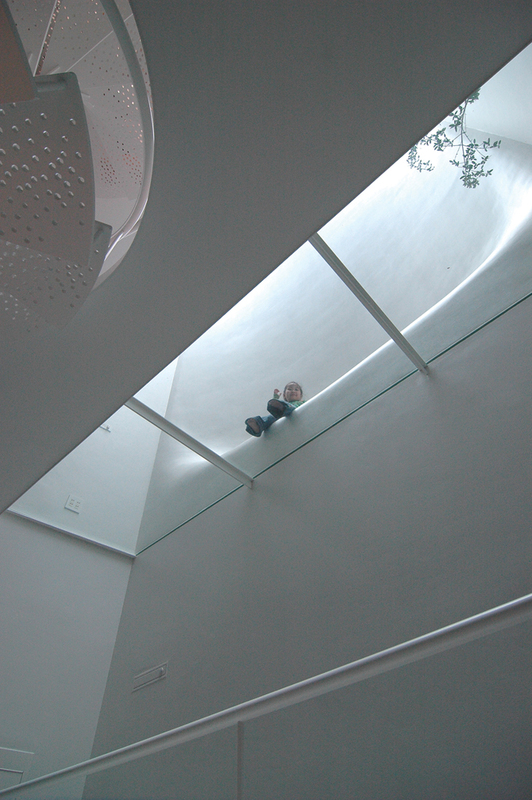 The designer says he intends the users of the house to interact with, "sitting in it and lying in it." The gentle curve embraces those living within the home, forming a loving relationship with them and creating an intimate space with reflected light and character.